In this fast-paced, Facebook world, there’s nothing more heart-warming than to slow down and enjoy a small town, old-fashioned Christmas. And no place does that better than historic downtown Golden, Colorado. Located just 12 miles from Denver, this Old West mountain town offers a completely different atmosphere with a main street straight out of a Christmas movie. There are three holiday parades; a cherished Candlelight Walk with friends enjoying carols, chestnuts, hot cider and fireworks; and a grand illumination with thousands of twinkling lights along the banks of Clear Creek and throughout the town. Add dozens of shops, restaurants, beer gardens with outdoor fire pits, festive decorations and you have the makings of an Olde Golden Christmas to remember. And did we mention FREE horse-drawn carriage rides on Saturdays and Sundays? 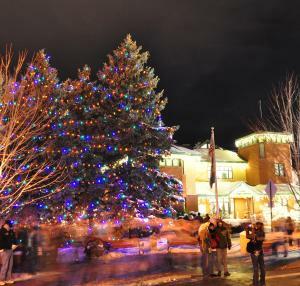 Here are nine ways to start a family tradition in Golden during the holidays. Holiday Art Market at Foothills Art Center – Opens Nov. 15. 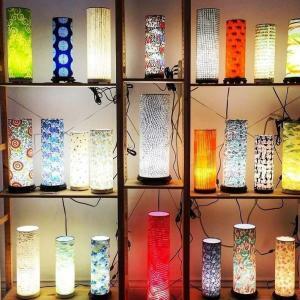 In its 44th year of operation, HART (The Holiday Art Market) is a cool shopping destination for one-of-a-kind artisan gifts. The entire historic Gothic Church and manse is filled with works from more than 100 local Colorado artists, offering the highest craftsmanship in fine ceramics, fiber, glasswork jewelry, paintings, woodworking, photography and special holiday items. HART is open seven days a week, Nov. 15 to Dec. 30, 2018, with free admission. 15th and Washington. Golden’s Small Business Saturday & Be a Tool 5K Elf Run - November 24 – Golden will look like the North Pole on Saturday, Nov. 24, when the entire downtown is overrun with elves! The celebration begins at 8:30 a.m. with a fun 5K “Be a Tool Elf Run,” in which participants are encouraged to dress as elves. Afterwards, shop and dine, while supporting incredible local merchants that range from Powder7 in North Golden to the dozens of shops in the historic downtown along Washington Avenue to Pedal Pushers in South Golden. Candlelight Walk Adds Fireworks! – November 30 – Join thousands of neighbors and friends for one of the most beautiful holiday experiences in Colorado. Everyone gathers at the Foothill’s Art Center at 6 p.m., and then Golden’s main street, Washington Ave., is closed to traffic and everyone parades down the street, carrying a candle and singing carols. There is hot cider and roasted chestnuts along the way. The Candlelight Walk ends at Clear Creek where tens of thousands twinkling lights along the creekbank are illuminated, followed by a wonderful fireworks display in front of Lookout Mountain. The Candlelight Walk is free and open to all at 6:30 pm on Nov. 30. Olde Golden Christmas Parades – December 1, 8, & 15 – Golden has not one, but three Olde Golden Christmas Parades! The free parades are staged on the first three Saturdays in December, starting at 10:30 a.m. with cowboys on horses, floats, old cars, elves on unicycles, the Grinch, and of course, Santa Claus. After the parade, enjoy a free horse-drawn carriage ride down the backstreets of historic Golden. Free Horse-Drawn Carriage Rides – Saturdays and Sundays from noon to 3 p.m., December 1 – December 16. 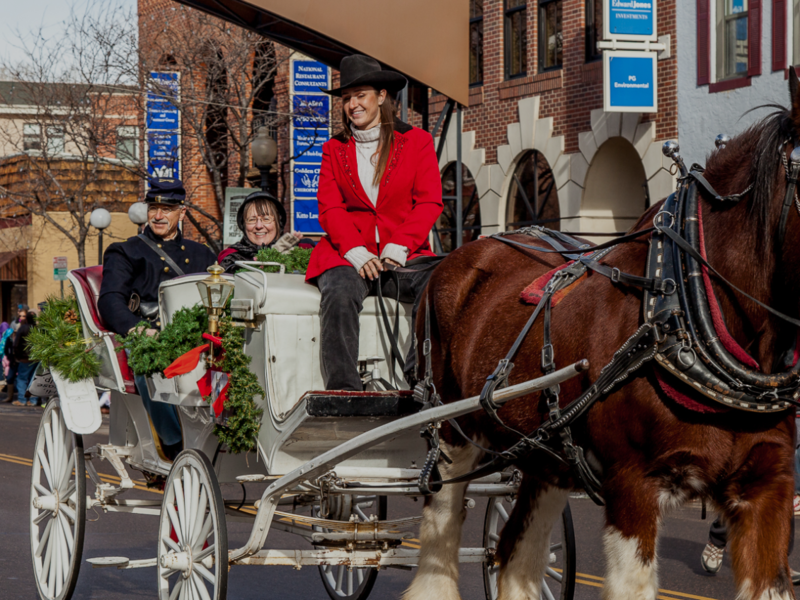 What could be more holiday fun than snuggling together in a horse-drawn carriage and clip-clopping down the historic streets of downtown Golden. Founded in 1859, Golden was the first capital of the Colorado territory and the historic area is filled with beautiful Victorian homes and buildings that you can admire, as you travel back to the 19th century. After your ride, be sure to visit the Golden History Park – a full frontier homestead on the banks of Clear Creek with a barn, farmhouse, and a chicken coop. Bring some quarters and you can feed the exotic chickens. 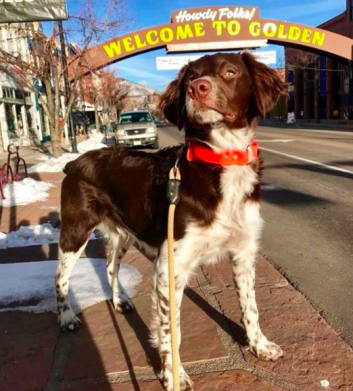 Shop Main Street and Take a Picture Under the Famous Arch -- Golden’s 58-foot long Welcome Arch is one of the most photographed sights on the Front Range. The sign has been saying “Howdy Folks!” to visitors since 1949 and is one of the few surviving welcome arches in the West. It’s also the gateway to one-of-a-kind shopping. Golden’s main street is lined with art galleries, candle shops, jewelry stores, bike/hike/raft and climbing stores, toy shops, hardware stores, women’s clothing shops, and designer fashions. And don’t forget the Foothills Arts Center, where the Holiday Art Market is open seven days a week until Dec. 30 featuring the individual works of 100 different artists. If you’re looking for a special, unique gift, you’ll find it in downtown Golden. Enjoy Holiday Cheer! Golden has two distilleries and a variety of restaurants, including such classics as the Old Capitol Grill & Smokehouse, which is housed in Colorado’s first capitol building; the Table Mountain Inn with its pretty Southwestern decor; the Bridgewater Grill with views of Clear Creek; or the Sherpa House, which is a reproduction of a farmhouse from Nepal serving classic Himalayan dishes, such as yak stew. And down the block is Coors Brewery – the world’s largest single brewing site with free tours, free samples and a huge Coors gift shop for the beer lover on your Christmas list. Ride the Polar Express! The Polar Express steams into the Colorado Railroad Museum three times a night during the holiday season, whistle blowing, bell ringing and steam hissing into the cold air just like the movie. After the passengers board, the train chugs to the North Pole, where Santa hops on the train and gives everyone a silver bell. It’s the thrilling and memorable experience for kids – and adults. Even if you don’t ride the Polar Express (tickets sell out fast), the museum makes a great daytime holiday destination with model railroads (both indoors and out) and dozens of locomotives and railroad cars to climb on and explore. They also have a large, all trains gift shop. If you already have tickets for the Polar Express, make it an all-Golden night, enjoying the lights along Clear Creek, dinner on Washington Ave., and window shopping the stores. Take a Hike! Have visitors coming from out of town for the Holidays? No place offers as many great nearby hiking opportunities and the chance to show off Colorado as Golden. Climb North or South Table Mountain, follow a trail to the top of Lookout Mountain, hike around Mount Galbriath, visit Golden Gate Canyon State Park, or walk around towering red sandstone monuments at Mathew Winters Trailhead. After some beautiful Colorado scenery, stop in Golden for lunch or beer at one of Golden’s six craft breweries. It’s a pleasant way to show friends and relatives what Colorado is all about.